The #JagoVideoRecipe contest is still on and the competition is hot!! We have received entries with recipes on Smoothies, Pap and even pancakes! What are you waiting for? We still have 3 days till the close of video entry submissions. 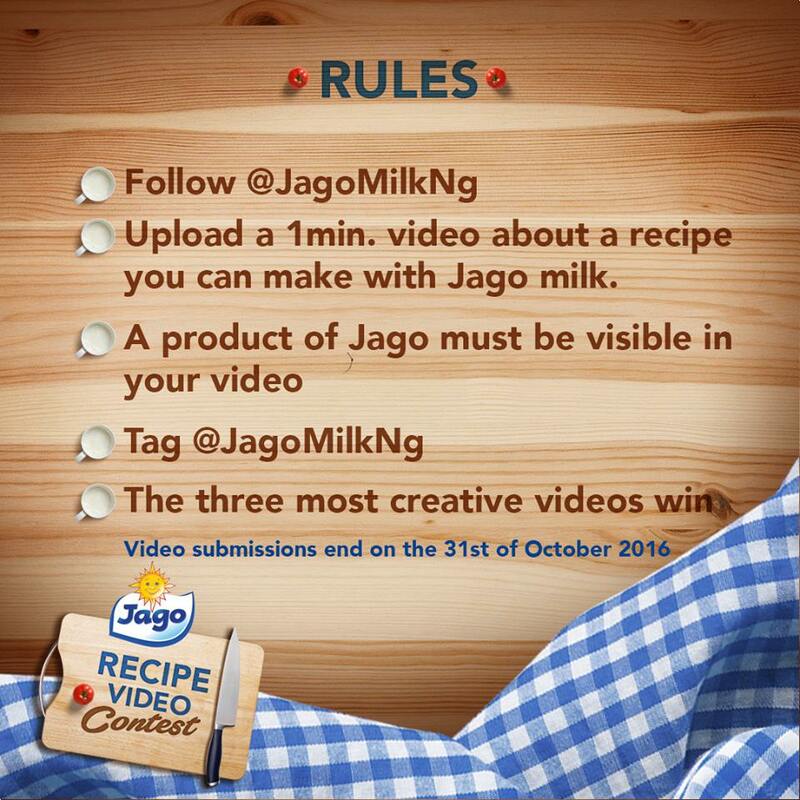 All you need to do is; Upload your 1 minute video talking about a recipe you can make with Jago Milk. You don't have to cook it, you can just talk about it. Remember, we will be focusing on how CREATIVE your video is. So get your JagoMilk and show us what you can do! #ForTheWinnerInYou. 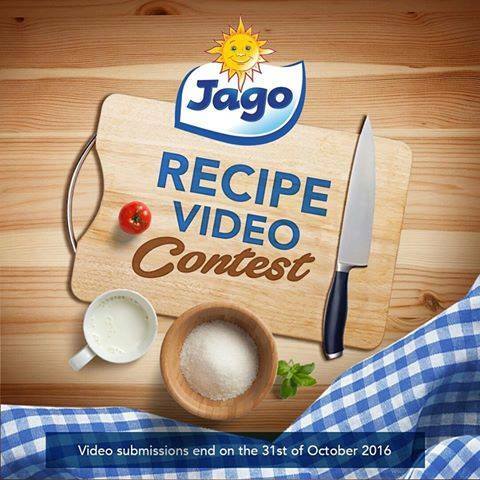 Our first prize winner of the #JagoRecipeVideo contest will get a smartphone and a carton of JagoMilk!! 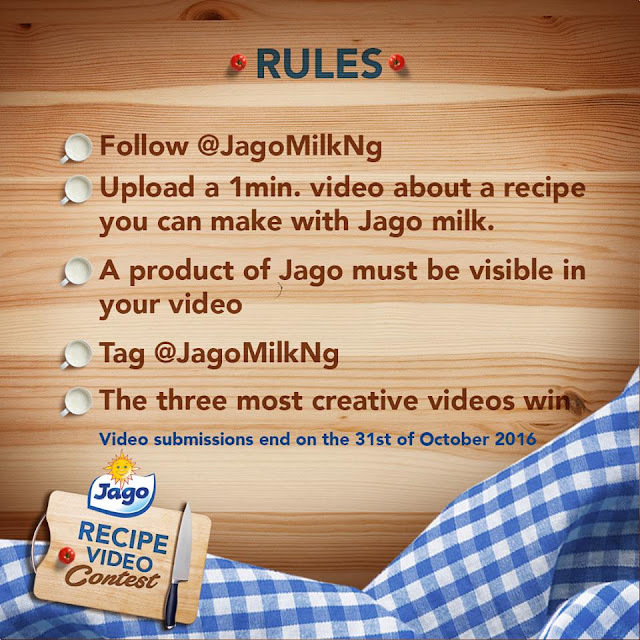 The second prize winner of the #JagoRecipeVideo will get shopping vouchers worth N20,000 and a carton of JagoMilk!! The 3rd prize winner will be getting shopping vouchers worth N10,000 + A carton of JagoMilk! Contest Ends on 31st October, 2016.